Walk into any recording studio in America and you’ll shurely find the name Shure scattered around you on various pieces of professional equipment. Bad jokes aside, since 1925, Shure has been synonymous with high-end audio products and has seen great success from microphones to personal monitoring systems. To offer the common audio lover their professional sound, Shure released the SE series of IEMs (in-ear-monitors) derived from their professional e-series, now named SCL. 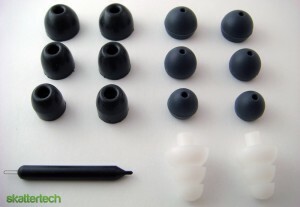 Today, I’ll be looking at the SE310 earphones placed right in the center of Shure’s SE-series lineup. Shure includes a comprehensive package along with each pair of SE310s to offer customizations and modularity for each person. The items include a rugged carrying case, a cleaning tool, a cable extension, and a plethora tips: rubber, foam, and tri-flange tips in small, medium, and large sizes. The packaging is professional and inspires confidence for a quality product. The included tips prove very versatile and comfortable, plus they help dampen out a significant amount of outside noise. The excellent isolation will let you listen to your music in peace on public transit, at noisy family events, or even help on stage to drown out the crowd so you can focus on your live performance. (Keep in mind, it’s illegal to operate motor vehicles and bicycles with both buds in.) The cable extension is a clever way to meet the needs of those looking to hide their cords or to eliminate all the excess cables if you prefer to mount your digital audio player on an armband. Finally, the cleaning tool is quite handy when it comes to removing nasty ear wax from the sound tube of the IEMs. This helps ensure clear and unobstructed sound. The SE310 marks the most advanced single driver model Shure offers in their SE lineup. A “tuned bassport” accompanies the single driver to enhance the bass for more impact and depth. The sound from these speakers are fed through a single sound tube directly into your ear canal. You’ll definitely notice an improvement in sound quality over the younger sibling, the SE210, which we reviewed as well. The SE310 earphones comes through clearer and more articulate than the SE210 model confirming that you made a good upgrade. The whole package blends together forming an enjoyable experience. While many companies put useless and dysfunctional marketing jargon on their packaging, Shure has and continues to deliver. Remember that “tuned bassport” I mentioned earlier? It turns out that this feature comes out quite nicely on these earphones to produce a very strong and authoritative low-end. Bass lovers will easily be able to focus on all the low-end motifs in their music with good articulation. 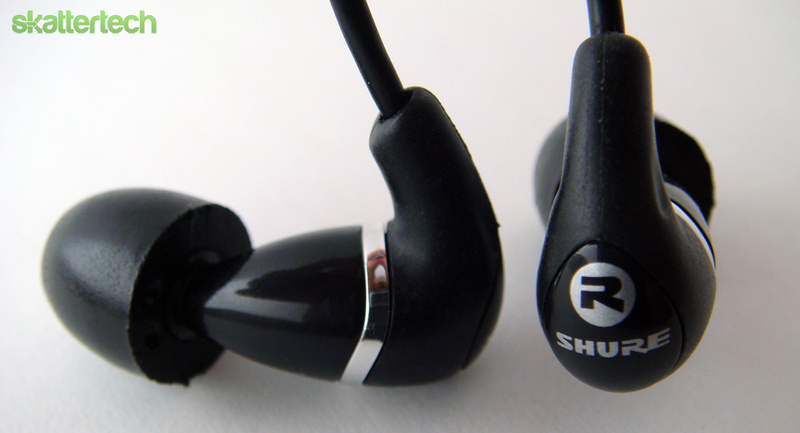 Contrary to most IEMs which lack bass, the Shure’s SE310 delivers it with ease and in abundance. I felt the bass was slightly overpowering these IEMs and it sounded as though it overtook some of the higher frequencies such as vocals which are the focus of a song. Despite that, if you’re looking for a good beat, the Shure SE310 earphones will not disappoint. Moving up into the mid-range, you’ll find a classic Shure sound. The mid-range category has always been artistically crafted in Shure headphones and come through with a rich and slightly warmer sound. This definitely isn’t an analytical and straightforward IEM, but rather one that moves the music with that hint of artistic passion. Vocals sound decent, although leave you wishing there was slightly more. In perspective, it sounds as if they’re singing towards your direction, but you’re sitting a few rows back rather than the vocalists singing directly at you. The high-end of the SE310 was somewhat mediocre. It didn’t stand out anywhere in particular and felt recessed. It was there, but it felt as though there was a curtain between you and the performers. It didn’t have that passion that the midrange did and instead felt bland. This tends to be an unfortunate characteristic of most IEMs and you certainly can’t call the SE310 earphones out on this alone. Overall, the SE310’s felt slightly rough and veiled. Listening to every song and genre I was given the feeling that the grand forte was coming soon where the power of the music was to be unleashed, but sadly it never happened. It was a taunting experience expecting a grand spectacle and hearing parts of songs that were supposed to be large and grand feel less than that. The SE310’s make you feel as if they have tremendous potential, the only trick is how to unleash it. The soundstage was typical for IEMs and Shure’s SE310 earphones felt narrow. Instead of a grand concert hall where the music comes from all directions, you were sitting in a hallway with the performance only in front of you. Naturally, I wanted to see how the SE310’s would perform when amped, so I paired them up with my Ray Samuels Audio: Hornet M amplifier and re-evaluated. 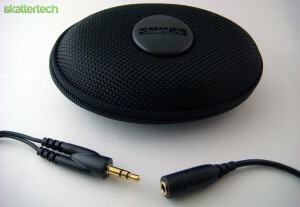 The SE310’s have an impedance of just 28ohms so they’re definitely not very hard to drive. From that I wasn’t expecting any huge changes in sound from the amp, but it did have positive results. When amped the SE310’s opened up a little. The sound came through more clearly and was more articulate. It still felt veiled (except for the bass), but not as badly. The music seemed smoother and silkier and the vocals saw the most improvement cleaning up that slightly rough and unpolished sound they had before. 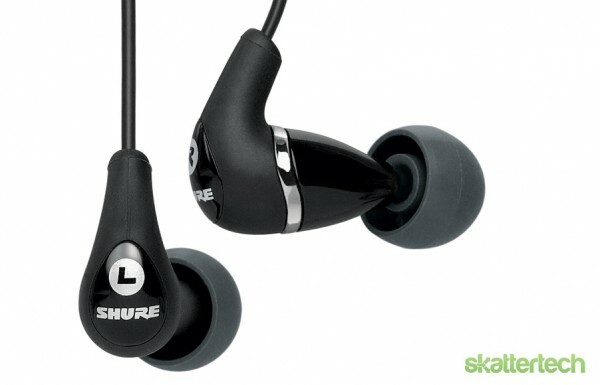 Coming in at around $150 on Amazon, the Shure’s SE310 Sound Isolating Earphones are a good value for the money. While they aren’t nearly the best sounding earphones out there, remember that these are powered by a single driver design after all. You’ll easily have to pay $50 more for a dual driver IEM such as Shure’s SE420’s to get better sound than the SE310. So if a potent bass and warm midrange suit your style, the SE310’s won’t disappoint. If you are a casual listener looking for good sounding pair of earphones, then I highly recommend considering the Shure SE310.